Fits Frame Size: 14 Ft.
SkyBound also offers a Premium Series Mat which raises the bar even further. Frame Size: 14 feet (Measure outside bar to outside bar). Spring Size: 8.5 inches (Remove one spring, measure from hook to hook). Spring Count: 104 (Springs are SOLD separately). 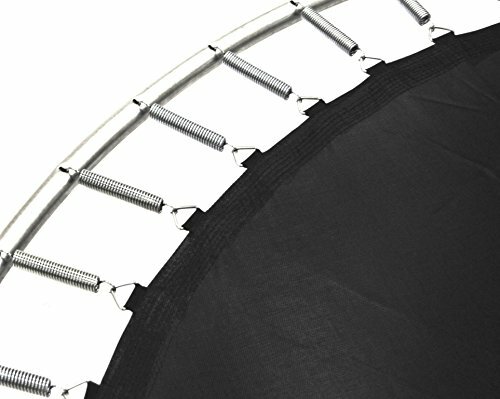 Made of U.S.A. Permatron Fabric for the ultimate rebounding surface!